Canseal Canvas is a custom textile company that was started in 1975 by Jo Everly, with the help of her husband Gene Everly. Jo had an extensive background in industrial sewing. Jo worked in a overall factory in Pella, Iowa. After that she worked for many smaller companys, sewing on industrial machines. Jo was looking for a career that she could stay at home with her children(Paige, Chad, and Derise) and still be productive. So Canseal Canvas was born. In the beginning Jo’s work load was mostly canvas tent repair and semi truck tarp repair. 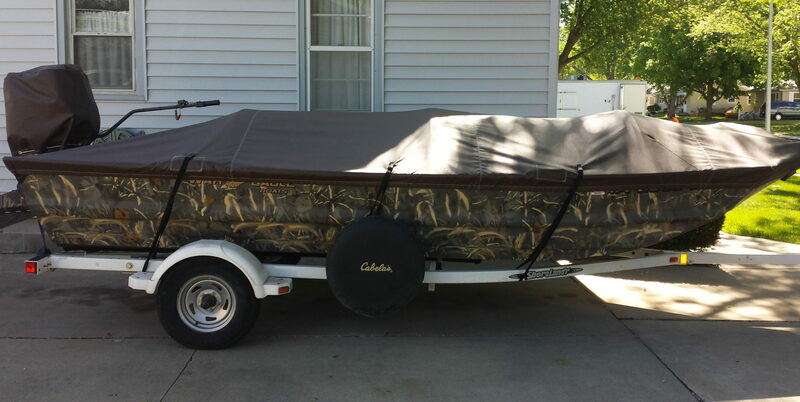 That quickly changed to custom boat covers. As a family of river rats, Jo and Gene saw that there was a need for a good quality boat cover. The covers on the market were ill fitting and were not made to last. All three children grew up in the business, and were coerced into working for the family business and continued to work in the business when need be, in addition to their other careers. Chad Everly bought Canseal Canvas in 2012. With the help of Derise (Everly) Vlasak, and their cousin Brittanie Kochheiser, and friend Kyrie Borsay, they have continued the tradition of quality that Jo started. Jo retired in 2013, but still comes in to check things out and hit em with a yardstick if need be. Canseal Canvas’s work load has expanded to many other products. From custom covers of any kind to parts for manufacturing and even items used for livestock. If there is a problem Canseal Canvas can come up with a solution.